Science is the subject where your students can (literally) get their hands dirty. It’s one of the most interactive subjects you can teach, mostly because there’s so many hands-on activities to engage your class. But, science can be polarizing for kids. Some students are ambivalent, slow to transition into an experiment-based lesson, as they schlep toward the materials table. While others are impossibly enthusiastic. It’s hard to see this as a teacher, especially if you’re passionate about teaching the subject, like most science teachers are. But you know it falls on you to unlock that door for the kids who can’t grasp how cool science can be. There’s so much engaging, exciting technology-based lessons these days. So, it makes your uphill battle easier when it comes to buy-in for your more reluctant students. If your mini-lessons don’t do that for them, you absolutely need to know about other teaching tools that will wow both the “zombies” in your class and science lovers alike. Start in the beginning of the year by surveying your class. Find out what interests your students and ask them explicitly what they want to learn or know about. Use the Quiz tool to have fun testing their knowledge in these areas, to see how much they know about the subject now. From animal and plant life to our solar system, there’s a lot you can cover that aligns with the new common CORE standards. But stoking their interest by asking about their likes creates buy-in you wouldn’t otherwise have if you rolled out a formulaic set of lessons you’re going to teach them. And it’s great for kids to see what they’ll learn, and what they’d be surprised to know about, in the beginning of the year. You can use your interactive white board by showing the results of the survey; then, apply the answers to the areas of science your students are most interested in. You can keep track of the survey results on your Smart board through the school year, too, by letting students know when their topic will be covered and checking off what they’ve already covered. Not only are you completing your learning objectives, but your students will be excited to track the survey and resulting plans with you, to anticipate when their area of interest will be covered. Let’s say some students love sharks or others really want to know how thunder happens. 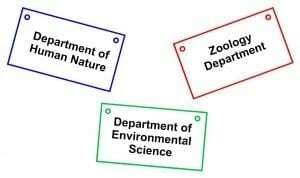 You can take this information and make your class into its own institute with individual departments of “experts.” Create laminated necklaces with labels like “Department of Environmental Science,” for students interested in the climate. Or “Zoology Department,” for those interested in animals. Everyone will participate through the year in all aspects. But these students will be the teaching assistants when you teach that area of science. They can wear these necklaces every time they come to class, and you’ll be building vocabulary and their understanding of how science careers work. Kids are social. They like interacting–with each other, with you and online. They are curious about the world. If you want to wow a class, the first step is to show you understand them and where they’re at. Humor and the right pacing are important parts of what create a “cool” lesson for your students. You don’t have to go it alone. You can use technology that checks all those boxes for them, and we’ve come up with some of the best ways to do that, here. Gynzy offers some of the best teaching tools when it comes to common CORE based activities for Smart boards. But don’t just leave the lesson on the Smart Board. With a little effort, and a small budget, you can create an interactive experience for your students. 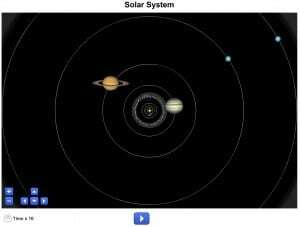 For a lesson on the solar system, you can use Gynzy’s Solar System tool. The tool shows how planets orbit around the sun. You can speed up or slow down the animation or pause it at any point. 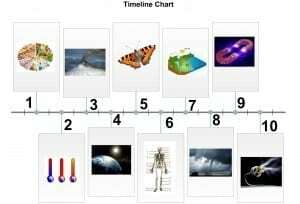 Suppose you’re teaching common CORE science standard eight about the universe, and in this lesson, the learning objective is to identify each planet in the solar system. You can build on a lesson about the solar system using this Smart board tool. And to wow your students, create a planetarium in your classroom for the day. Darken the windows, add a black light, glow in the dark stars on your ceiling and bring in some popular music they love. Start the class off as if they’re entering space. For safety, line them up outside the classroom first, to explain the safety guidelines for entering a darkened room and the goal of the class lesson that day. Also, light their pathway with low-budget solar powered garden lights through the classroom. All these supplies and set-up are fast and inexpensive, but they will create an exciting experience for your students. When you’ve done your planetarium mini-lesson, students can work on graphic organizers, noting each planet and some characteristics. Finally, they can make their own models to display around the room in a final lesson. You can show kids how to do this through a short video by someone their own age. In other words, think how you can make a lesson “an experience,” in a way that’s low-effort, low-cost and user friendly. Start with smart board tools and work from there. Some students have a sense that everything has already been studied, discovered and “figured out.” Even worse, some believe anything new to learn or explore is exclusive to the “brains” of the world; they think it’s too conceptual or technically complex. That’s a major reason some of your science students have already checked out of your class before the school year’s even started. But you can shatter that mistaken belief with powerful videos, like what TedEd provides; the video “Detention or EcoClub,” for instance, can help both your elementary and middle school students learn about their environment through a speaker some students can identify with. The speaker’s a former student who considered becoming a gang member before becoming a National Geographic Explore. So, instead of talking “at” your class to discuss the lesson, allow technology to do it for you. Even better, instead of using multiple sources, make good use of your Smart board in saving and opening a video there. Berkeley, California science teacher Lindsay Mothersbaugh says, “All students are drawn to technology.” She uses different video-based resources like “BrainPop” which provides short animation segments with popular characters, for her elementary school students as a start to lessons. “It’s so hard for students to conceptualize,” she said. So for Mothersbaugh, it’s a way to start a discussion and for visual learners to better understand certain concepts. You can easily pull-up how to use YouTube on your Smart board through Gynzy’s tool. If you’re not sure how to start a lesson, or what lessons will really get your students excited to learn and invest in their learning, check-out these five short videos on TedEd. From how worms can decrease waste to tracking grizzly bears from space, these videos and the site are a fantastic way to start a lesson and build on lessons. A lesson on recycling and the environment can work for almost any grade level, and a CORE biology lesson, starting with the grizzly bear video, for middle school students, is a great way to teach about animal sciences and behavior. This kind of content can open students to new worlds, and these are the kinds of lessons that will wow your class. What kid doesn’t enjoy a cool gif? Gifs, short for “graphic interchange format,” are like the visual equivalent of a short, powerful sound byte played repeatedly. Your students have been raised on them, figuratively speaking. And they’ve become virtually trained to understand that a gif’s only purpose is to highlight the apex of an action–in a very short amount of time. So, they’re extremely powerful teaching tools for a generation of students who’ve been reared on immediacy. You can embed these into your interactive whiteboard lesson plans to really bring your discussion to life and clarify any tricky concept. From Quarks to Quasars provides a great resource, Take geometry, for example. If you’re teaching about angles, seeing the concept in motion is an extremely fast and powerful way for students to understand how angles add up to 360 degrees. You can embed and save these gifs in a Smart board lesson. Passionate teachers are always searching for “the” experiment that will really excite students and better help them learn. The good news, says Mothersbaugh, is “technology will really be key” in the new science standards. Standards also touch on how to have good scientific discussion with others and support what you learn. She tells students “scientists all work together and she encourages them to talk to other ‘scientists’ in the class.” Since collaboration is a strong value scientifically and academically, imbue your experiments with as much dialogue skill-building as you can. Ask students what they think will happen before an experiment and note this on your Smart board. Ask them to discuss their thought with each other, first. Mental Floss offers Ten Science Experiments You Can Eat with Your Kids. Kids love learning about geology through rock candy, or the earth’s layers through (what else) a layer cake. Use your interactive white board by presenting the steps for the experiment, and keeping these up on the board at all times for a reference. You can track their discussion and save it. At the end of the year, or even at the end of a unit, you can review how far they’ve come in learning by what they thought and what they know now through their experiments. Kids love seeing their progress and find a lot of humor in tracking their learning this way. You can try Gynzy’s science tools, for your interactive white board, to start off a hands-on experiment for everything from the water cycle, to food groups to magnets. Through technology and the rich resources at your fingertips online these days, you truly have the opportunity to create profoundly engaging lessons your students will remember for years to come.